Looking for unique things to do in New Orleans? Here’s a great list of fun things to do in New Orleans for couples. Whether you’re a local or a tourist, there’s something for you. Here are 10+ of the offbeat things to do in New Orleans. These are places that don’t tend to be at the top of tourist attractions but are nonetheless great activities while you’re here in New Orleans. Think of these as some fillers for the tops sights here in New Orleans. Some, the locals have done, and others they don’t even know exist because they are the best kept secrets of New Orleans! We have so much to do here, it’s hard to keep track of all the fun things around our city. 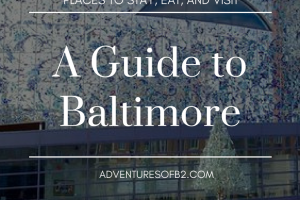 So if you are a local or a tourist, this list has something for you. The New Orleans Movie Tour is a tour that shows you different places around the city where movies and TV shows were filmed. New Orleans is one of the top places filmakers use for movies. There are movies I didn’t even know was filmed here. Jonathan is a great tour guide and takes you around the city for about 1.5 hours to see where movies were filmed and houses of famous movies stars. Don’t be shy to do your research before about all the movies that were filmed here. Jonathan will be more than happy to personalize your tour to see certain film sets. Check out this post from our trip for more info. Kayaking on the bayou was so fun and relaxing, yet a good arm workout! I love that we can rent the kayaks and explore the city on the water. You paddle as a group but it doesn’t feel too crowded. (See picture below). As long as the guide can see you, you’re A ok. So you can be the caboose. He does give you information as you go along about the city, so they do stop from time to time to tell you about things. However, I didn’t find it too distrupting to the kayaking experience. There’s is a few different packages, so you can choose easy, medium, or experienced. 🙂 (See our experience here). Oh man! New Orleans food is just sooo good. Whether you’re a local or a tourist, this a perfect attraction to try. Locals can critique it and tourists just love all the food. 😛 The tour allows you to taste a few of some of the top New Orleans food. You get small samples that add up to a decent size meal. Check out all the things we tried here! If you did the food tour, you’ll certainly want to learn how to cook it all and what better way then with the New Orleans School of Cooking. They also have multiple different packages. You can just watch demonstrations, or taste samples or actually cook the meal yourself with the chef. The latter is what we did since it’s always been on my bucket list, and we had a blast. There is also a store in the front if you just want to stop in and purchase some of the goodies they have there. (Check out what we cooked here). The cemeteries are some of the most unique things we have here. Since we are below sea level, most of our cemeteries are above ground. It’s truly a unique site to see. We do offer cemetery tours if you liked to know more information about them, but if you’re looking to see them for free, just walking around them yourself is just as good. Museums are always a cool thing to explore in a city and New Orleans is no different. Our assortment is uncanny. From voodoo to pharmacy to WWII, you’ll certainly find something to entertain you. Us New Orleanians know a thing or two about drinking! Hence why so many breweries have begun to pop up all over and they love to have you stop by! 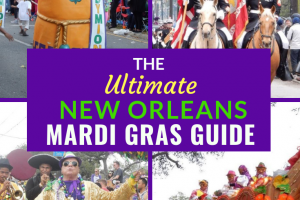 From Abita, to NOLA to Urban South to Second Line, there’s plenty to check out. I’ve been to breweries that are less about touring and more about drinking, to others that are jam packed with information… and beer. My favorite so far was NOLA Brewery but there is still some on this list I haven’t been to. [Just a sidenote about NOLA Brewery, the tour is in non-airconditioned warehouse, so if you go in our summer, you are going to sweat and vice versa with the cold. It was however one of the most legit brewery tours I’ve been on though.] Some of the breweries that do tours also have a restaurant you can eat at as well. Second line is the only one that I know you can’t tour, but you can certainly hang out, grab a beer and chill. Laginappe: (Means extra) Old New Orleans Rum Distillery you can tour! It’s not beer, but still a fun time. 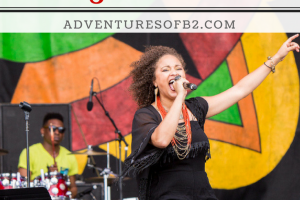 ( There’s always festivals going on in New Orleans, from French Quarter Fest to Poboy fest, from Jazz Fest to Strawberry festival) It seems like we make up festivals for just about anything. Gumbo Fest, Beignet fest, Alligator fest. Guaranteed you’ll find some festival or fair to go to almost every month of the year. Although it’s not quite New Orleans, it still a great event. Angola prison puts on a rodeo twice a year. Anyone can come and see all the crafts and artwork they prisoners have made over the past few months. The craft part is free unless you want to purchase some of their work, which I recommend. See New Orleans from a different perspective. Whether you are a local or a tourist, this a truly a unique experience. Fly around the top of New Orleans with your child or even your best friend and the pilot. The pilot will take you in a small plane from the Lakefront airport from 30 to 60 minutes depending on the package you choose. For a romantic date with your significant other, do the “love is in the air” package that is complete champagne 🙂 See how our date went here. What’s your favorite thing to do in New Orleans? Need more date night ideas? Go Here. Need travel ideas? Go Here. Need DIYs ideas? Go Here. Need delicious recipes? Go Here. Oh wow! This is great. Have yet to do Nawlins. But the food and second line are great reasons to visit. I wonder about if there are tours around the voodoo culture? Not kitsch. That would be interesting too! New Orleans is fun! They do have tours on voodoo, but I have not attended any yet, but I guess I should! I have been to New Orleans a dozen times and I can honestly say I have done any of these suggestions. Typically I just eat and wander around bar hopping LOL! I did do a swamp tour that was underwhelming. The Cooking class sounds so wonderful and the breweries would be fun! I would take the cooking class too if i were on that tour. Not because i particularly love eating but because i just love to experiment with food. Thank you for sharing about this beautiful place. I should include it in my travel list. it looks amazing! for sure on my bucket list! great post! New Orleans is one of my favorite cities.. The jazz clubs and the cemetery tours were great!